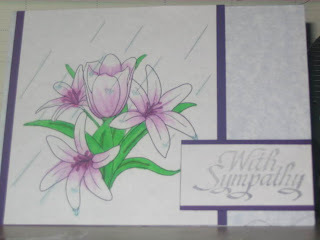 This week has been a sad one, I've had 2 funerals to attend this week, both from my church family. The first one was on Thursday and the second one was Sunday. It so happened that I had made this card for CDAC ( Crafter's Digital Art Center) a few weeks before for a challenge and now I actually had to use it. The digital stamp is from Ethereal Forest Designs, and was a freebie on the CDAC site. 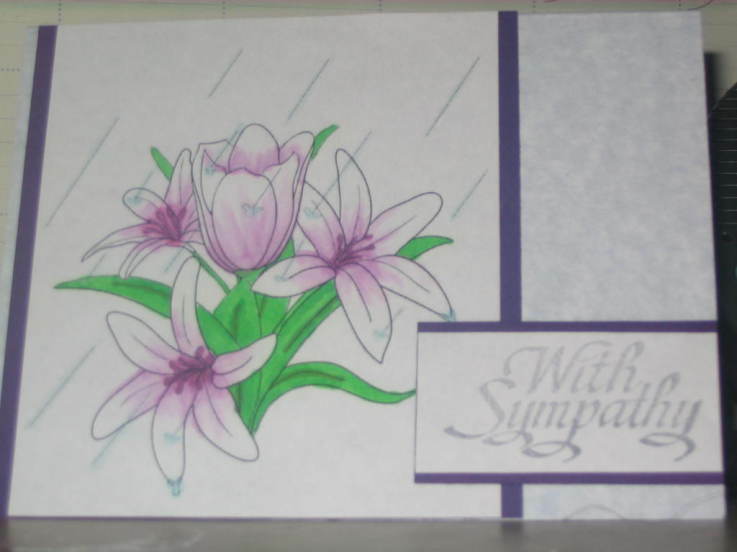 When I saw this stamp, saw the rain I thought of tears and how it would be great for a sympathy card, I didn't imagaine that I would need it so soon.